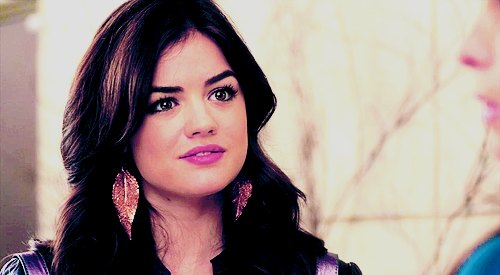 aria montgomery;. . Wallpaper and background images in the Aria Montgomery club tagged: aria montgomery pretty little liars lucy hale. This Aria Montgomery fan art contains retrato, tiro en la cabeza, primer, headshot, primer plano, en la cabeza, and closeup. There might also be prendas de vestir exteriores, overclothes, prendas de abrigo, ropa de abrigo, and manchó.